Deduction, logic, critical thinking, all these tools aren’t part of the current epistemological baggage of most individuals. They would be very useful for resolving those situations that represent for us a question mark. And I’m talking about any situation. The Austrian School provides us with the synthesis of these tools: praxeology, or the study of human action. From a “simple” axiom we are able to logically deduce the body of rules of the economic world. But this methodology doesn’t stop at the economic sphere, because we can translate it to the rest of human knowledge, opening up a world totally different from what we thought possible. In fact, logical reasoning is nothing but the pure reason present in our intellect that desperately tries to deduce the phenomenology that reality puts to the test of our experience. A turbulent clash is created in which practical reason and pure reason mix and, if the individual perishes under the blows of one or the other, he/she will only fall victim to an illusion passed off by anyone. Instead, it must find the keystone in the confrontation so that pure practical reason emerges, that is, the epistemology through which to arrive at a perfect synthesis of the phenomena to which it is subjected. This creates a clearer vision of things, so that no malicious agent can undermine the tools available to subvert reality and make one thing believe another. Critical thinking, the epistemology of action human, rejects the ipse dixit and transforms logical reasoning into a forge of deductions that lead the individual to draw conclusions in line with the nature of the phenomena that present themselves at the court of his experience. No more fake news, no more cognitive dissonances, but only reason and logic. Praxeology does nothing but suggest the starting point: human action. The course will be held during the second part of the morning for the entire period of the workshop and will be divided into theoretical lessons, debates and workshops. The aim is to deepen all the issues of praxeology and not only in its aspects of economic science, fundamental for having a clearer view of the social and political dynamics of the reality in which we live, but also on other important aspect such as reappropriating critical thinking. Born in Arpino (FR) on May 16th, 1985. 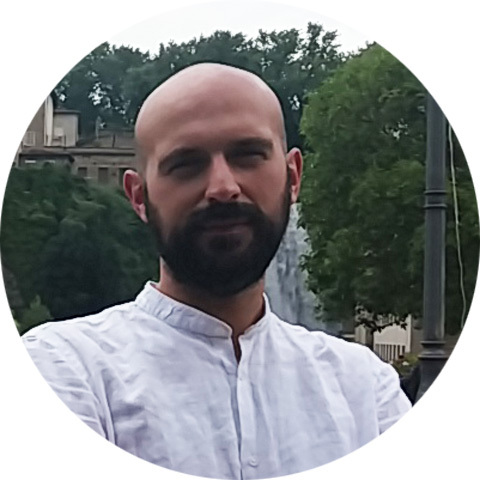 Austrian School of Economics scholar, initially has opened the blog Francesco Simoncelli’s Freedonia in 2010 as a tool to analyze economic/political issues according to an Austrian and libertarian perspective. After having refined his knowledge by attending the Mises Academy courses, has also seen his articles published on websites with considerable resonance in the field of economic information: Yahoo Finance, Miglio Verde, Rischio Calcolato, Libertarian Movement, Trend Online. Author of the ebook L’Economia è un gioco da ragazzi and translator of the book Economia cristiana in una lezione, has been several times a speaker at conferences and guest in radio broadcasts. In 2012 he took part in the foundation of the Von Mises Italia Association, of which he is editorial manager. In 2015 he joined the Catallaxy Institute association. From 2018 he is a community manager for the Melis wallet project and for the Auromoney project. From 2013 to 2016 he collaborated with the online magazine The Fielder, on which he wrote articles on economics and finance as well as academic essays. Archived from the live Mises.tv broadcast, Hans-Hermann Hoppe presents the opening lecture of the 2011 Mises University. Includes an introduction by Mark Thornton.